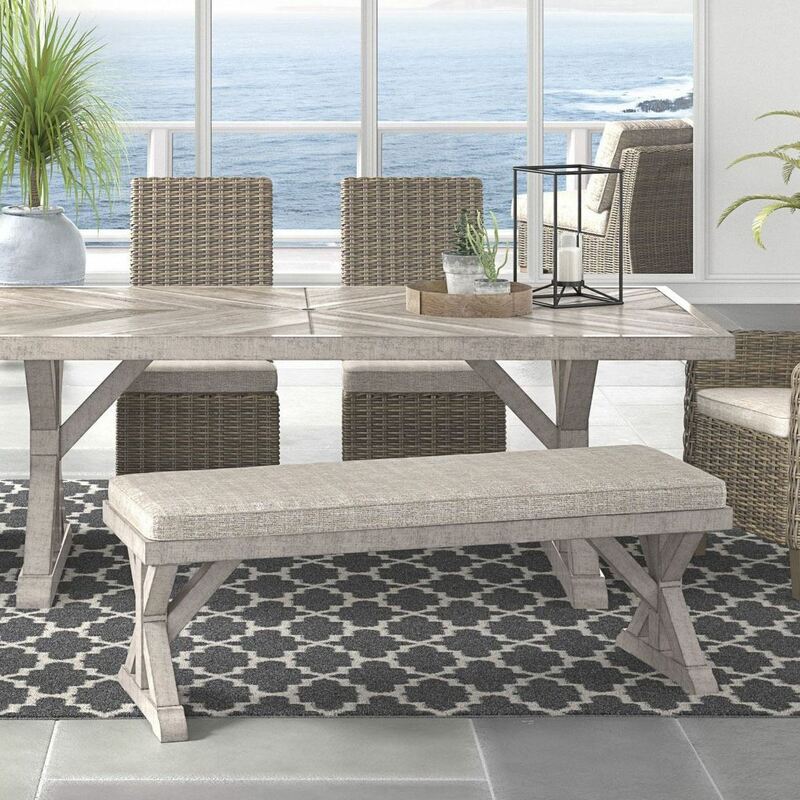 Sporting an easy-on-the-eyes look inspired by driftwood, the Beach House bench with cushion elevates the art of indoor-outdoor living. 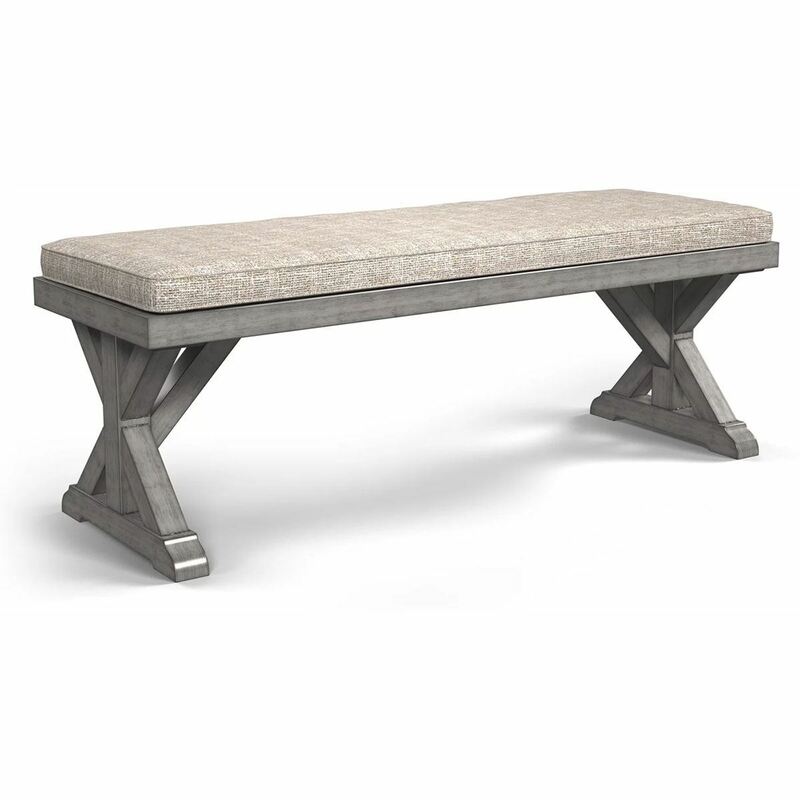 Beautiful and durable enough for indoor and outdoor use, this casually cool bench entices with striking X-leg farmhouse styling and a plush, removable cushion wrapped in high-performing Nuvella fabric that's a breeze to keep clean. 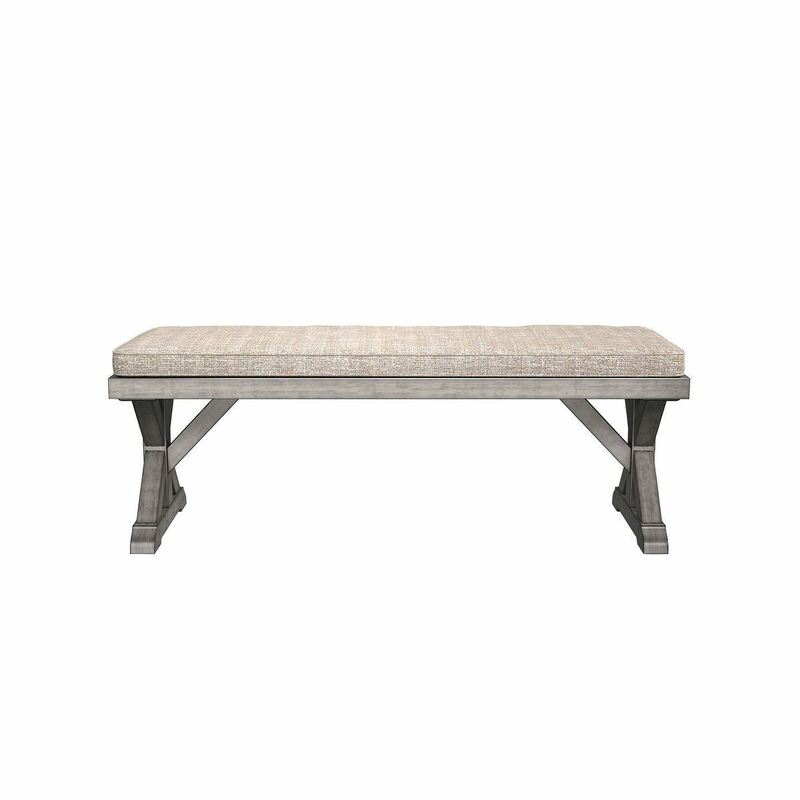 Dimensions: 54"W x 20.5"H x 17"D; 38lbs.